my phone is heating a little while charging to 36-37degree centigrade,is it normal and at normal times it remains at 30-33 degreess,or is there any problem in my zenfone. AnonD-300572, 03 Sep 2014Guys Iwant to know that im gonna buy an Asus Zenphone 5 (16gb/2gb)(not the LTE version)from ho... moreHong Kong Chinese version with CHT firmware. AnonD-279813, 03 Sep 2014hong kong version with cu-android, firmware chtWhich are the hardware changes? I have a Chinese one and it is awesome! I changed without any problems to WW firmware. Guys Iwant to know that im gonna buy an Asus Zenphone 5 (16gb/2gb)(not the LTE version)from hongkong for around US$ 160.is that the normal price of original or is it the chinese version??? debuz, 03 Sep 2014Evening, I have used this zenfone 5 for 2month and face with certain problems 1) it always n... moreHi, debuz. 1. I faced myself with the same problem but updating firmware resolved all these issues. 2. You don't have to find root file. Root folder mean the "initial" directory. As an example, if you have a "D" partition on your Windows, "D root" means "D:/" directory. If you want to copy a "file.txt" to "D root" it will be placed at "D:/file.txt" outside of any folders "D" could contain. Mau, 02 Sep 2014Hi Tomazz! Is Greenify also applicable for non-rooted phone? Yes, but some functions only work on rooted phones. Pankaj, 03 Sep 2014Asus zenfone5...can we replace the battery...or How long this phone's battery will last...plz reply?You can replace battery but you would need to take the whole phone apart. Currently I can't see any seller, but I am sure they would be offered again given the popularity of the phone. Certainly they won't be cheap. They should last a 2-3 years of average use. AnonD-296391, 03 Sep 2014I have a question. Please help me. Last time I connected my phone to my cpu it was working fin... moreMAke sure that you have MTP selected in the Storage, at the top (USB logo) and not Camera. If nothing happens when you plug it in, maybe the driver on computer is not properly loaded, then try another USB port, or remove the unknown device or whatever it is in device manager for this phone, and plug it in again to reinstall driver. If you're using a Mac, get Android File Manager. Anonymous, 03 Sep 2014Guys i m planning to buy this phone bt what is rooting ? ?Imagine your computer at work. You login as a user, and can do some things, but for example you want to load an application, and you get an error message that this has been prevented by the policy of the administrator. You are user. You are not the administrator. Rooting basically gives you the top administrator's rights, so you can do whatever you want, install any apps from anywhere, change whatever you want. Of course the moment you do that, the warranty from the producer is void, as fiddling with the internal memory or CPU under or overclocking, etc. can cause hardware failures as well. Therefore this is for those who are familiar with Linux (on which Android is based) and want to tweak the system beyond what manufacturer limited users to. Rooting is done fairly simply, by running an application which does it for you. scha, 03 Sep 2014Hi..everything is working well except for messaging (sms). When i touched the messaging icon, ... moreUpdate firmware and apps. Early firmware and apps, some 2 months ago, were not really ready for prime time, but hardware was done so it launched. That's why there were several updates released after issues were reported by the users, and those have now been fixed. Anything reported new is being resolved in the next version of firmware. 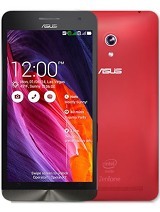 Manna, 03 Sep 2014Friends, Please reply me..dose Asus Zenfone 5 has " VIDEO CALLING" facilities or not... moreNo. Like most new phones there's no 3G video call functionality. Only Skype, Line, Viber, etc. over the wifi or cellular data connection. Apart from connection costs (if any, you could use home wifi for example) such calls are free and quality depends on data network speed. Anonymous, 03 Sep 2014After KitKat update also can we move apps to sd card ?Yes. If app allows it. Anonymous, 03 Sep 2014After KitKat update also can we move apps to sd card ?How to update to kitkat....???? After KitKat update also can we move apps to sd card ? Guru, 01 Sep 2014you are right,at first when i checked it was rs.10000 and not they put it higher for rs.10500,... moreI have canceled that order that i placed for Rs. 10499 :P and bought QTY. 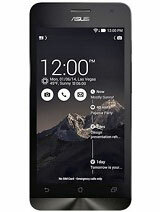 3 again from WS Retail (FlipKart) yesterday for Rs.9999, Hopefully ill get before saturday. I am gonna root it and remove all useless crAPP and install Greenify, or perhaps ill wait until KitKat update, I heard its on final stage. Anyway i am super excited and same time worried about batter performance and gorilla glass because i drop my device very often. 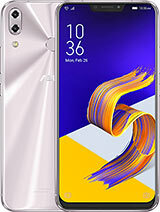 Friends, Please reply me..dose Asus Zenfone 5 has " VIDEO CALLING" facilities or not..??? 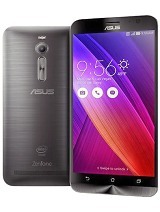 with 3G SIM is it possible to make a Video call from Asus Zenfone 5 to any other 3G phone having that facilities.????? Please help me..